Edgefield County (pop. 26,985) is northwest of Aiken County. It’s the only Edgefield County in the U.S. The county seat is the city of Edgefield (pop. 4,750). The National Wild Turkey Federation is headquartered in Edgefield. 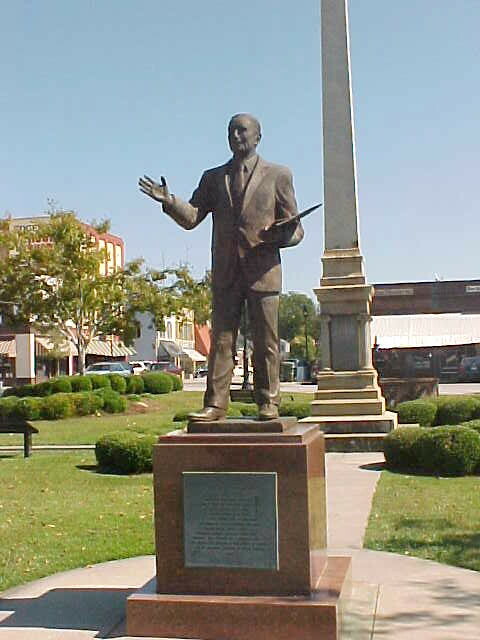 Strom Thurmond (1902-2003), who served in the U.S. Senate for 48 years and retired at age 100, was born in Edgefield and is buried there. Much of the 1997 movie “That Darn Cat” was filmed in Edgefield. The Federal Bureau of Prisons has a 1,700-prisoner, medium-security prison near Edgefield. Johnston has an annual Peach Blossom Festival.